Dr. Colleen Correll is an Assistant Professor of Pediatric Rheumatology at the University of Minnesota. She is originally from Chicago where she received her medical degree from Rush University Medical College. Dr. Correll completed her residency in Pediatrics at the Medical College of Wisconsin in Milwaukee. She moved to Minnesota in 2011 to complete both her Pediatric Rheumatology Fellowship and a Master's Degree in Epidemiology. Dr. Correll has been a faculty member at the University of Minnesota since 2014. 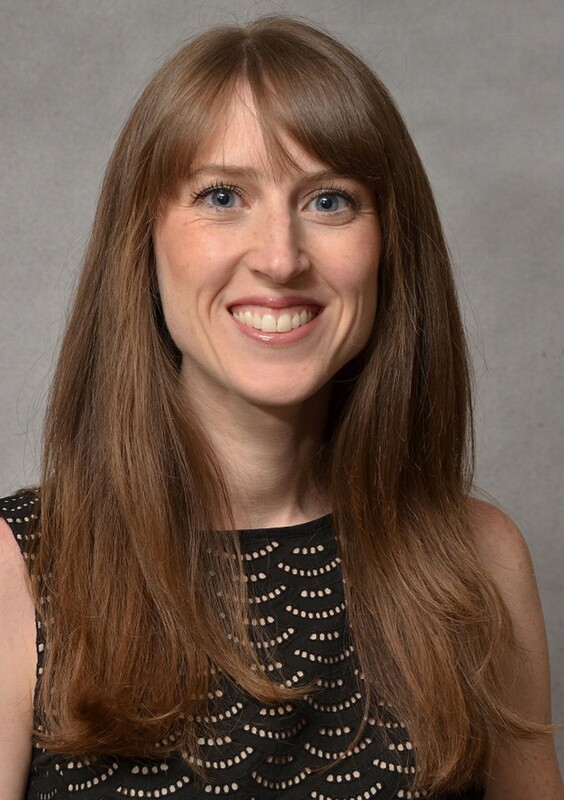 Dr. Correll has a research study at the University of Minnesota called Juvenile Arthritis in Minnesota (JaMINN), in which she is studying both environmental and genetic risk factors for juvenile idiopathic arthritis (JIA) in children living in Minnesota. She serves as the Medical Chair on the Arthritis Foundation’s local Minnesota Leadership Board. 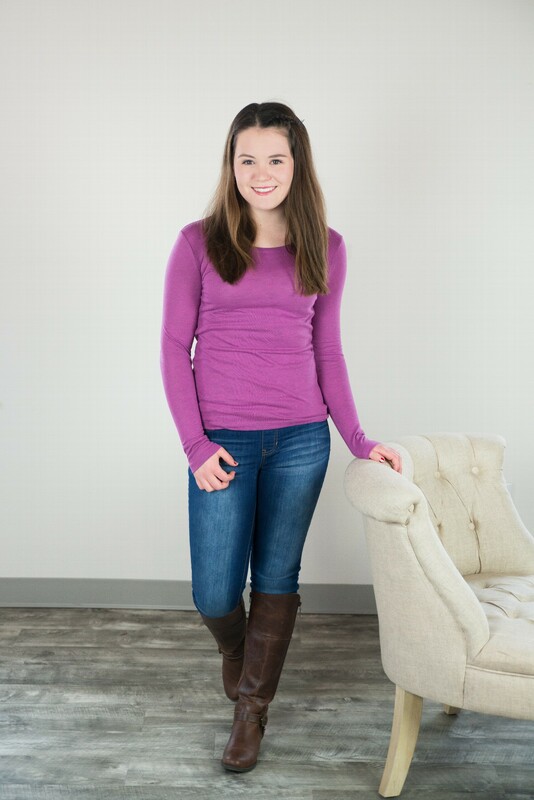 She is also an active member of Childhood Arthritis and Rheumatology Research Alliance (CARRA) and was selected for the competitive CARRA Internship position where she is learning about the organizational leadership of CARRA and the Registry. She has also been involved in PARTNERS projects, working with parents to understand what types of research are most important to parents and patients with pediatric rheumatic diseases. Dr. Correll has been nominated “Top Doctor” by Minnesota Monthly and Minneapolis-St. Paul magazines multiple years and was chosen for the Masonic Mission Award for excellence in patient- and family-centered care. Since 7th grade Sydney had dreams of being an FBI agent. She had it all planned out: she was going to attend Virginia Tech to study criminology and psychology. She knew how fast she had to run a mile and how many sit-ups, push-ups and pull-ups in order to get into the academy. But those dreams changed at the age of 17 when Sydney was diagnosed with juvenile idiopathic arthritis. When she was 13 she started experiencing pain in her wrists and initially thought it was a result of overuse. But as time went on the pain became worse and she lost more and more motor function. It wasn't until the summer before 11th grade that Sydney finally reached out for help. After months of multiple doctor visits and countless exams, Sydney’s test all came back normal. Everyone assumed she either had carpal tunnel or was imagining the pain. But Sydney’s wrist pain only got worse. Her arms and hands swelled and she was unable to close or move them at night. Soon after, one of her test results prompted a referral to a rheumatologist where she was finally given the answers she had been waiting so long to hear. She was diagnosed with juvenile idiopathic arthritis in her fingers, hands and wrists and has since then also been diagnosed in her hips. Sydney’s rheumatologist started her on a course of aggressive treatments right away, but she is still working to find the right combination to ease her pain. But she hasn’t let arthritis stop her from working, attending school and enjoying her hobbies. She’s committed to raising awareness and funds to find better treatment options and a cure! Late February 2014 Jaxon woke crying in the morning unable to walk and had a significantly swollen knee. Jaxon's family is blessed to have access to amazing medical facilities and providers nearby. After several visits and medical tests Jaxon received a diagnosis of oliogoyarthritis juvenile idiopathic arthritis, two days after his 5th birthday, late March 2014. Initially, Jaxon would have a few good weeks with no swelling and no pain followed by nights of crying in pain and begging to go to the hospital for help. "There is nothing more heart wrenching then your child crying for help and nothing you do really helps," said Jaxon's parents Amy and Greg. December 2014 Jaxon met Dr. Vehe and Dr. Bullock and began to take oral Methotrexate (MTX) which worked for almost 10 months. As Jaxon was about to stop medication he had a flare which led us to begin MTX injections. Jaxon's parents explain this was some of the hardest months as Jaxon was extremely scared of the shots. Amy is a pediatric nurse and has a lot of experience giving injections to kids but it changes when it is your child crying and begging you not to do it. Jaxon and his family are grateful to no longer be on MTX and use only an NSAID. Jaxon doesn’t let his arthritis hold him back. 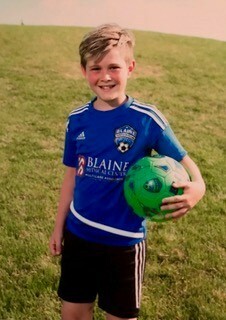 He is a very active athlete through all seasons; skiing in the winter, basketball in the fall and playing competitive soccer year around for the Blaine Soccer Club. The Arthritis Foundation has been an amazing resource for Jaxon and his family since the beginning; from resources to connect with other families to helping strategize fundraising for the Walk to Cure Arthritis. This is our 4th year as Jaxon’s J-Walkers and we are proud to have raised over $20,000 to help find a cure.